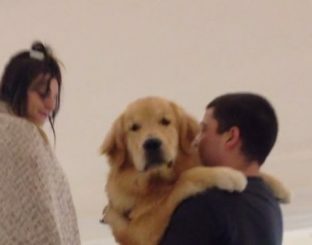 A dog imitates women who do exercises. 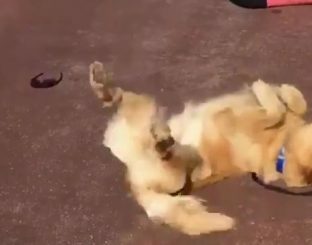 In Redwood City, California, riptide a golden retriever dog ran into women who were doing exercises lying on their backs. 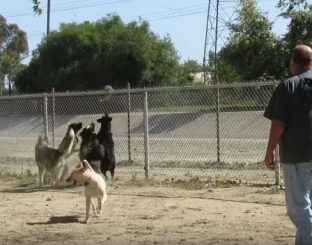 He wanted to do what they did. A dog with a satchel on his back is hurrying to go to school. 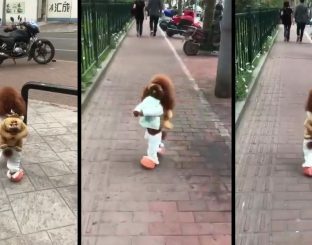 In China, a dog standing on his hind legs carries a satchel on his back and runs to go to school. 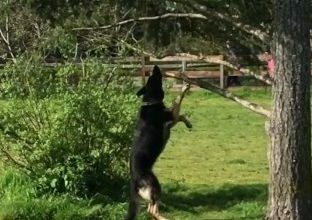 A German shepherd found the perfect stick to play with but there is a problem: it is a branch and it is always attached to a tree. The dog jumps to catch the stick, remains hooked, shakes with all its strength, but the branch remains well attached to its tree.